First shown back at NAB 2017, Freefly has finally released the MōVI Carbon, a 5-axis gimbal system unlike any other gimbal in the world. They’ve cut every morsel of weight down and packaged it with a camera/lens built into it, to make this the lightest gimbal system that can stabilize shots up to 240mm. 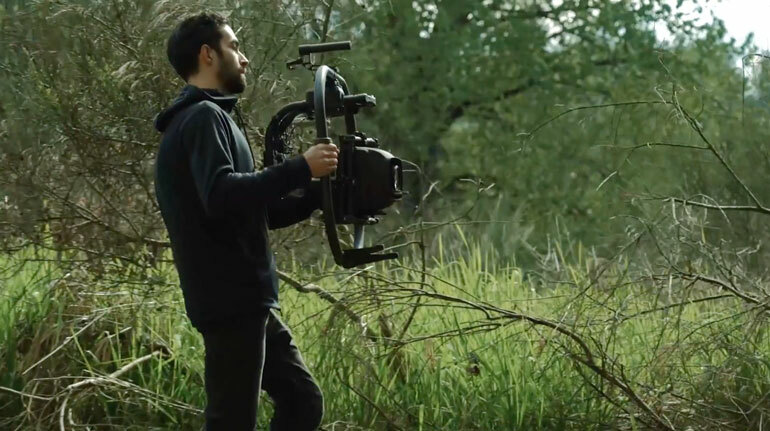 There are insane 5-axis and 6-axis gimbals out there meant for helicopters and modified vehicles, but the MōVI Carbon is so light that it can be handheld, placed on a drone, or even mounted to a bike. Also, a Shotover or Cineflex system not only requires a heavy duty vehicle, they are easily a six figure investment. When they first teased it, Freefly were working on integrating the Carbon with a Sony A7SII a Sony 24-240mm lens, but have since changed it to a Panasonic GH5S and a Fuji lens. So now the unit comes as a packaged kit with the GH5S and a Fujinon XK 20-120mm. At the long end, that’s an equivalent of 240mm, completely stabilized. To be able to stabilize an image at 240mm, under any condition, the gimbal requires absolute perfection. That’s why they are selling the Carbon as a packaged deal with the camera and lens combination, which they’ve tuned intricately. Imagine mounting this lightweight zoom system on any vehicle, whether it’s a car, boat, or motorcycle. And once you’re done with that setup, you can put the kit away and travel with it to another location. We imagine this will be a very popular tool in the factual television production – a Carbon could make it onto every follow vehicle on a reality show, or a boat on Deadliest Catch. Note that this video is a year old, so their original plan to carry an A7SII a Sony 24-240mm lens has changed. Or for nature documentary filmmaking, a small crew could now send a drone up in the air and capture zoomed in shots that only a helicopter could beforehand. Remote control of focus, iriz, and zoom will require a Movi Controller or Pilot, sold separately. The weight of the entire unit is under 20lbs, with batteries, camera, and lens. An ND filter set comes standard with the kit. The MōVI Carbon is now available for reservation, but before you take out your credit card, consider the initial price: $45,000. It’ll cost you $2,000 just to make the reservation. Much of the cost goes to the price of their chosen lens, the Fujinon XK 20-120mm Cabrio which retails for $13,500 by itself. Still, for rental houses or production managers, it could be an instant game changer. Compared to other systems like the Shotover or Cineflex, the Movi Carbon is a relatively low cost investment. 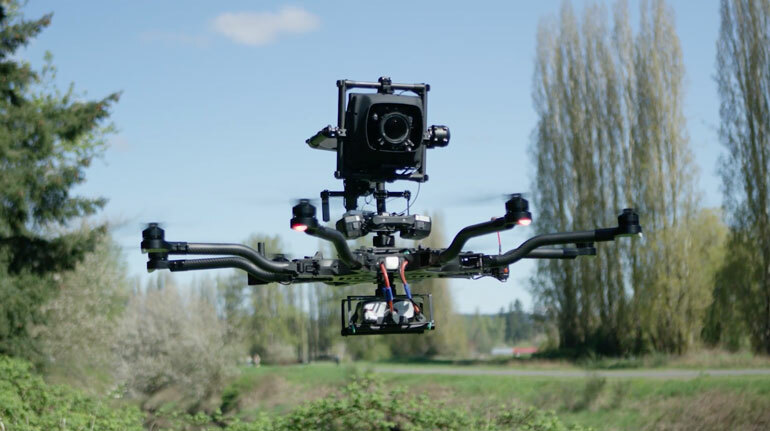 This is only the first of several 5-axis gimbals that Freefly intends to release, so from the looks of it, NAB 2019 is going to be very interesting.